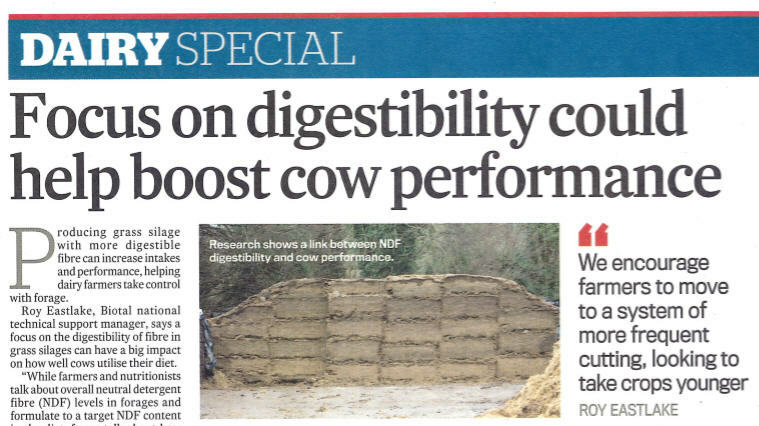 Many UK farmers switching to a ‘multicut’ system experience problems with a lack of effective fibre in the diet leading to loose dung, depressed appetite, loss of BCS and difficulties getting into calf. These problems are largely due to the fact that the NDF in young grass is Fast Pool NDF. NIS is an easy to feed digestible source of Slow Pool NDF, which can balance diets much more effectively than NDF from other sources. To download the article from the Farmers Guardian please click on the image below.